RIGHT DOWN YOUR ALLEY: THE COMPLETE BOOK OF BOWLING covers everything you need to know about the game, along with strategies you can use to keep improving. This comprehensive guide covers topics ranging from holding the ball to the principles of movement and competitive bowling. 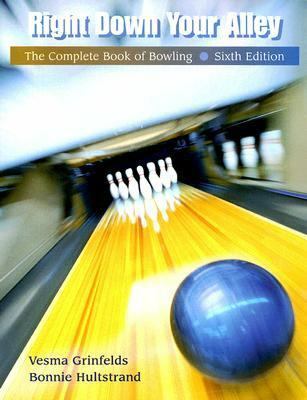 With this book in your pocket you will be bowling strikes in no time at all!Grinfelds, Vesma is the author of 'Right Down Your Alley The Complete Book of Bowling', published 2006 under ISBN 9780495012702 and ISBN 049501270X.